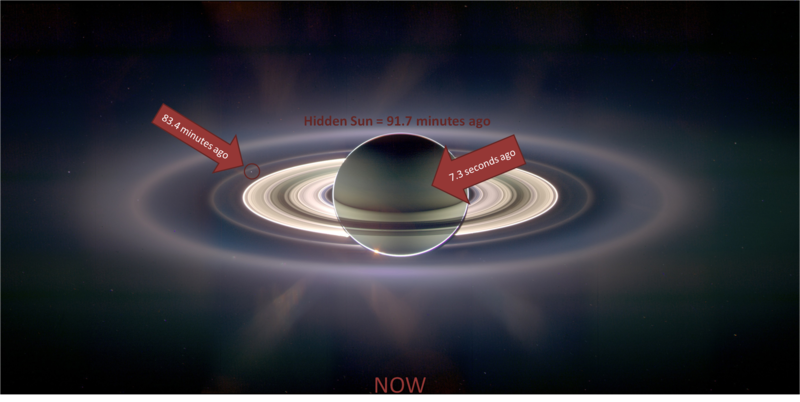 This entry was posted on Saturday, October 19th, 2013 at 05:01	and tagged with Cassini, Cassini–Huygens, Earth, fun, government, Jet Propulsion Laboratory, math, NASA, rabbit hole, Saturn, science, sea of knowledge, Space, speed of light, spying, stalking, sun, Technology, time travel and posted in Science!. You can follow any responses to this entry through the RSS 2.0 feed. « These chains that I wear? They bore me.